Air relief valves release air pockets that may collect at high points of pressurised pipelines of potable or filtered water, sewage or raw water, and even sludge. 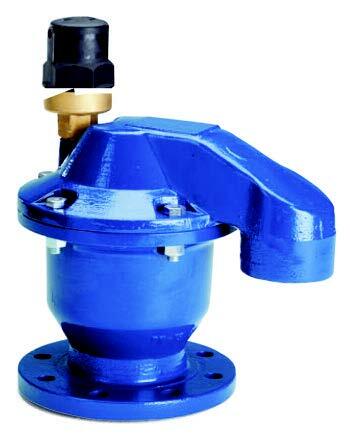 Air valves are normally incorporated into the system with the addition of an isolating valve, mounting flanges may also be used (size and drilling needs to be specified). This composite material single orifice (25mm) air relief valve is suitable for use with potable and filtered water, to a maximum working pressure of 16 bar, and between temperatures of -10°C to +70°C. Insulation is essential for temperatures of 0°C and below. This composite material double orifice air relief valve is suitable for use with potable and filtered water, to a maximum working pressure of 16 bar, and between temperatures of -10°C to +70°C. Insulation is essential for temperatures of 0°C and below. 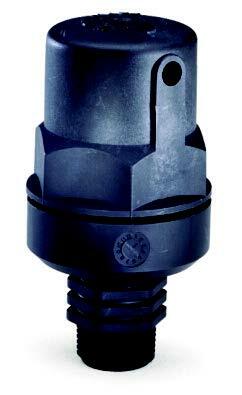 Air relief valves are manufactured in various styles to suit their application requirements. 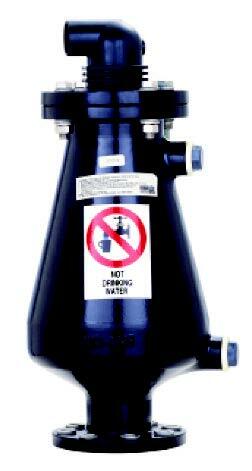 This may be on pressure pipelines that transport potable or filtered water, sewage or raw water, and even sludge. 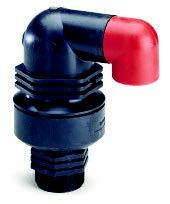 This double orifice air valve is suitable for use with potable and filtered water, to a maximum temperature of +70°C. This cast aluminium double orifice air relief valve is suitable for use with sewage, raw water, brine and sludge, to a maximum working pressure of 16 Bar, and between temperatures of -10°C to +70°C. Insulation is essential for temperatures of 0°C and below.